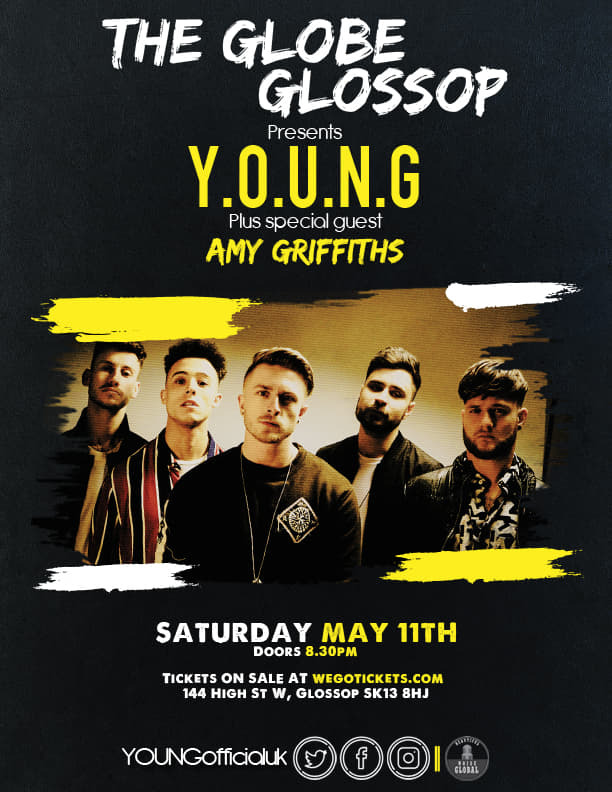 Y.O.U.N.G are a Manchester based 5 piece who blend rap and rock vocal hooks, heavy drum beats, grooving basslines with melodic guitar riffs and electronic sounds, all taken from a diverse range of influences such as 21 Pilots, Red Hot Chilli Peppers, Green Day and Linkin Park, forging and creating their own style of infectious music. 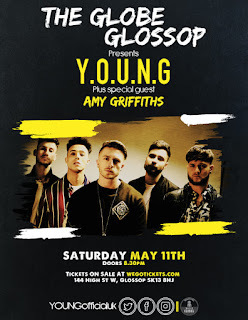 As established songwriters and performers, Y.O.U.N.G best demonstrate their intrinsic chemistry on stage during their energetic live shows which have received much praise from a host of big summer shows including James Arthur and The Script. We invite you to come and witness the band during 2019 as it will be action packed.